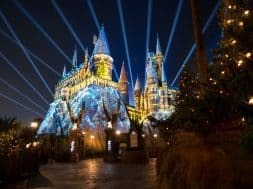 It’s no surprise that Harry Potter is the most popular sight to behold at Universal Orlando – it’s the sole reason for the resort’s current resurgence, after all, and both of the Boy Wizard’s theme park lands tend to be the single most-crowded locations. It’s also no surprise, then, that we here at Orlando Informer have endeavored to bring you comprehensive tips, tricks, and secrets in order to help make your vacation as much of a success as possible – tidbits like how to beat the crowds, a rundown of the (reams and reams) of merchandise, and how to approach the Wizarding Worlds in the first place. While all of that is top-notch vacation-planning intel, it’s still simultaneously too specific and too general for a lot of visitors, especially for first-timers. Given just how many people are arriving at Universal’s neck of the woods for the very first time in years, if not ever, we thought it might behoove us to fashion a new, brief-but-thorough overview of what to expect out of the Wizarding Worlds of Harry Potter. When armed with this knowledge and all the supplements listed above (plus even more! ), we trust you’ll be just as well-informed as a hardened expert, enabling you to have the best possible excursion to rural Scotland and downtown London. Both of the Wizarding Worlds are dedicated to recreating their source material as faithfully as possible. 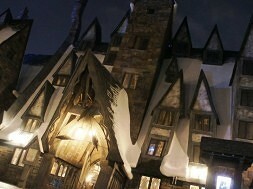 That means that Hogsmeade really does feel like the Christmas-getaway for Hogwarts students that is depicted in the films, and Diagon Alley is a hustling, bustling metropolis filled with sights and sounds and side-streets – a creative decision that allowed for two separate lands to be made in the first place, which is a first for the theme park industry. This basic premise also means that nearly every single item located in the two areas, from the gift shops to the restaurants to, even, the bathrooms, are also accurate to J.K. Rowling’s fantastic mythos (another theming first); neither the streets nor the stores are (that much) wider than they would “really” be in order to accommodate the crowds, which is good to know for when planning what time of day to visit. Even more importantly, however, there is almost literally a detail or Easter egg hidden around every corner. Leave no stone unturned, and you’ll find yourself truly being transported to a different world. 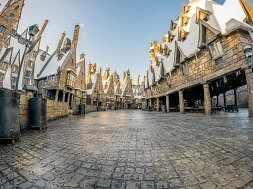 The two headlining rides at the Wizarding Worlds – Harry Potter and the Forbidden Journey in Hogsmeade and Harry Potter and the Escape from Gringotts in Diagon Alley – are jaw-dropping in their fun, excitement, and thrills (though neither is truly that thrilling, we should probably add, so don’t be intimidated to go on them). But perhaps the biggest point to know about the pair beforehand is that their queues are so detailed and involved, they’re essentially a separate attraction in and of themselves – and, indeed, during slower times of the year, guests can opt to just “tour” Forbidden Journey’s queue by itself. This may sound like a rather boring exercise, but nothing could be farther from the truth. Hogwarts Castle’s talking portraits (featuring characters that are exclusive to the theme parks in all the Potter media), Gringotts Bank’s immaculate entry hall (and plunging elevator ride into the depths of its subterranean vaults), and all the various familiar faces that pop up will make 20 minutes waiting in line feel only like five – and might make you wish that you had even more time in order to experience all the story. It has a rather robust queue of its own, one that may be nowhere near as involved as Forbidden Journey’s or Escape from Gringotts’s but which still contains some of the best Easter eggs in either land – as well as featuring some gorgeous photo spots for the majestic Hogwarts Castle. 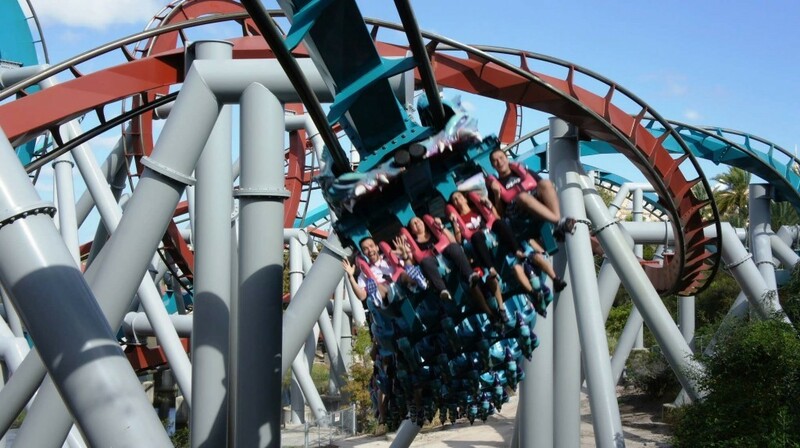 In continuing the theme, Dragon Challenge is actually two attractions in one: the faster Chinese Fireball and the twistier Hungarian Horntail. Yes, both coasters are worth experiencing, as they’re just different enough. Rumors hold that the ride will probably be torn down sometime this year in order to make room for several new Harry Potter experiences, which look likely to open in 2019. While we don’t know for certain what, exactly, will occupy the coaster’s massive footprint, word on the Universal street is that they’ll consist of even more dark rides in the vein of the two flagship attractions. Your days of taking the Dragon Challenge on just may be numbered. Forget the rides themselves – if you really want to feel as if you’ve slipped into the pages or onto the big screen of the Potter saga, just go shopping. It’s really hard to overstate just how magically immersive each of the Wizarding Worlds’ dozen or so stores are. 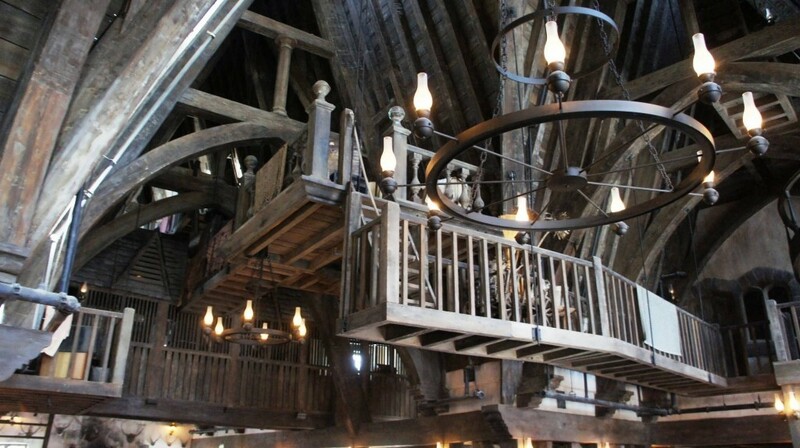 Each one is intimate – yes, even Weasleys’ Wizarding Wheezes, which features two extra, non-admissible floors of theming for your viewing pleasure – and is impeccably designed. 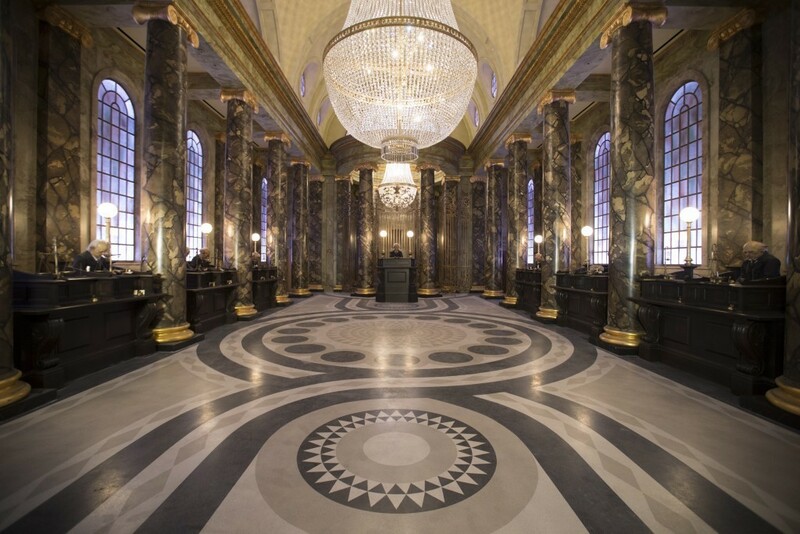 And when combined with all the other hidden details located on their walls and among their shelves, along with the cast members’ very-much-in-character dialogue and behaviors, it’s hard to remember that you’re really in Orlando, Florida instead of the wizarding portions of Great Britain. And then there’s the merchandise itself. 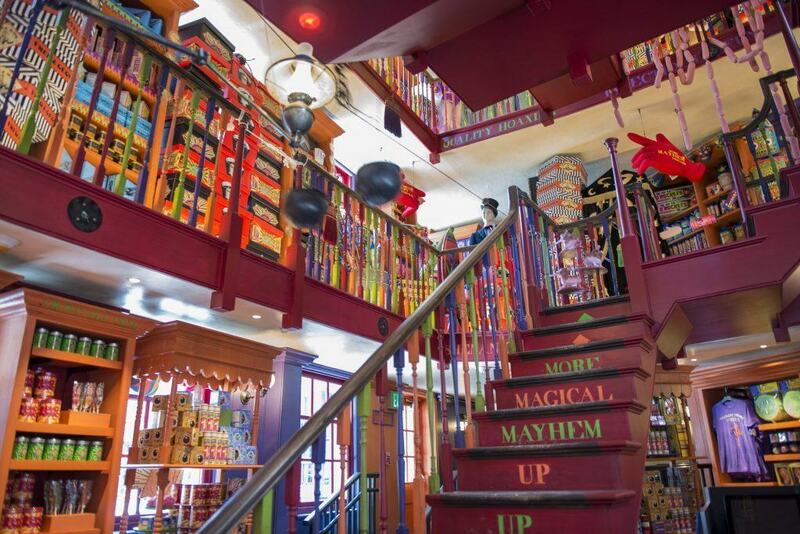 With each shop being dedicated to just one specific set of items (Honeydukes and Sugarplum’s sell sweets, Madam Malkin’s just has clothing, Ollivander’s and Wands by Gregorovitch peddle – you guessed it – wands), the variety is wide, meaning that venturing into each location is more like an adventure filled with wondrous surprises instead of a tedious, never-ending shopping expedition. In this way, the Wizarding Worlds may only contain five rides, but they boast a whopping 16 mini walk-through attractions. 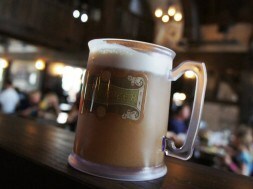 In addition to all the other firsts that the Harry Potter lands have racked up, there’s this little humdinger: rather than featuring standard quick-service fare like hamburgers and pizza, the various eateries scattered throughout Diagon Alley and Hogsmeade offer up dishes that come right from the source material itself. 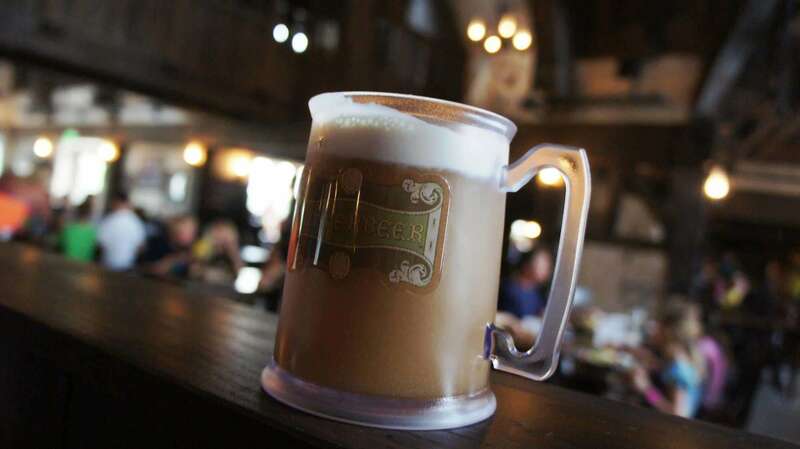 Butterbeer, naturally, is the first item that comes to mind, a delicious drink that sells in the hundreds of thousands each and every month and that now comes in a plethora of varieties, from the standard cold to hot to the latest innovation, fudge. But there’s so much more on tap here: Fishy Green Ale, Otter’s Fizzy Orange Drink, Tongue-Tying Lemon Squash, and Gilly Water, among them (there’s so much, in fact, that we’ve written up an entire guide about it). And that’s just the liquid refreshments. 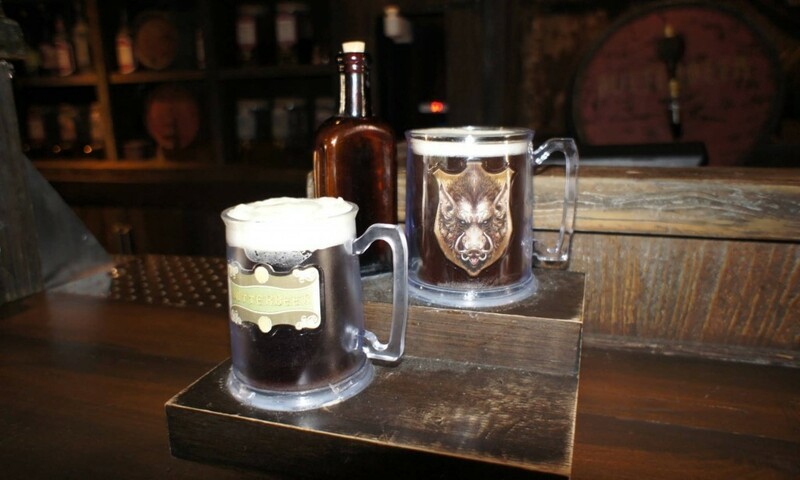 Both The Three Broomsticks and The Leaky Cauldron, of course, have entire menus filled with breakfasts, entrees, and – our personal favorite – desserts, and then there’s Florean Fortescue’s Ice-Cream Parlor, which has some of the most delightfully unusual flavors imaginable. And then there are the venues themselves, which are just as detailed and immersive as the areas’ queues and shops (Three Broomsticks’ blueprints, in fact, were used to create the film set seen in the later installments, making the two versions literally identical). All of this is to say: treat your meals (even the snacks) as the theming experiences they are. Your belly and your spirit both will thank you. Ready to dive into the Wizarding World for yourself? See Orlando Informer Travel about a free quote, and then compare your notes with all the friendly faces in the OI Facebook group. next Could wireless charging be coming soon to Disney World?